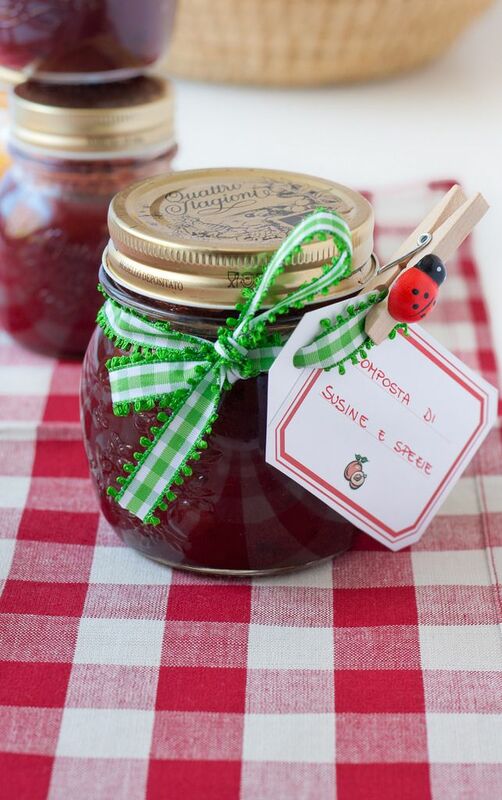 This low-sugar spiced plum jam recipe does not need to be canned and it takes only a fraction of the sugar regular jams call for. Since only 1 1/2 cups sugar is used to make four (8-ounce) jars, and since sugar is what helps to set a jam, the trick here is to use a pectin that is labeled for less-sugar or no-sugar recipes to help it set up. This spiced jam would make a great food gift, especially at the end of summer and beginning of fall when plums are at their juiciest. This jam does not need to be canned but must be refrigerated (up to 3 weeks) or frozen (up to 1 year). Remember to label each container with the name of the jam and the expiration date. You may also process this jam in a water bath for room-temperature storage at 55 to 70 degrees (up to one year). In a medium saucepan, bring water, allspice, cinnamon, peppercorns and cloves to a boil over high heat, covered. Reduce heat and simmer 10 minutes. Strain and measure out 1 1/4 cups, adding more water if needed. In a large saucepan or pot, combine pectin and 1/4 cup sugar. Stir in plums, spiced water, lemon juice, and butter. Bring to a boil over high heat, stirring often. Add remaining 1 1/4 cups sugar and return the jam to a full rolling boil, stirring. Cook, stirring constantly, 1 minute. Remove from heat. Ladle hot jam into four heatproof or canning jars that have been washed in hot soapy water (sterilizing isn't necessary unless the jam will be canned), rinsed and air dried. Top with lids and rings that have been washed in hot soapy water, rinsed and air dried. Turn upside down onto a clean dish towel. When cool, turn right side up and refrigerate for up to three weeks or freeze for up to 1 month. If you decide to can the jam for room-temperature storage up to one year, read the note below.